Although this is my last post for my VICPLN13 course, I’m going to make sure that my blogging doesn’t stop here. Admittedly I do struggle to find the time to blog in between all the other things going on in my life–amongst them a commitment to be an active member of the Twitterverse–but I have enjoyed sharing my learning journey and revisiting it through this blog. It’s kind of like picking up an old photo album and reminiscing! To summarise my journey through the PLN course, I used Storybird–a digital tool that was new to me–to create an online picture book. The thing I love about Storybird is that the images unlock the story, rather than the traditional arrangement in story creation where the words precede the images. It sends a nice message to students that images can be as powerful as words. Here’s the link to my story, ‘Looking for Learning’. Once it’s been moderated by the Storybird administrators I’ll embed it here. If you want to understand my blog post title you’ll need to watch it! And if you’re interested in learning how to create a story using Storybird, here’s a short screencast recorded using Jing and edited in Camtasia Studio (which I have to say was a totally new and fun experience). I signed up for Camtasia’s free 30-day trial, but I’m so impressed I think I might have to buy it. The Jing-Camtasia Studio-Screencast combo works a treat! Only problem is, the video won’t embed… I’ll keep trying to find a fix. Aha,,, after a few hours of trying to embed the video directly from Screencast.com (it seems it’s a common problem) I uploaded it to You Tube and then inserted it here. Wish I’d thought of that earlier… all a learning exercise! It made me think though… we don’t give students enough time to work things out. Let’s ditch the notion of the 6-period day!! Categories: Digital Storytelling, Video | Tags: Camtasia Studio, Jing, screencasting, Screenr, Storybird | Permalink. Great story on Looking for learning Di – clever use of hashtags ! 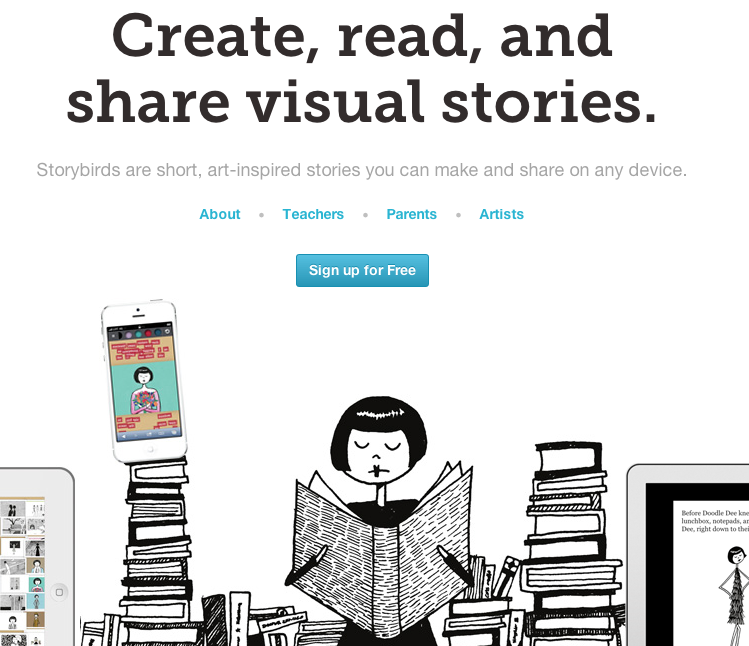 Great tutorial on Storybird too – will definitely check it out ! Thanks for your input, and for willing to try out all the tools we’ve suggested. I’ve thoroughly enjoyed your Storybird story, and the Screencast instructional video – both wonderful and easy tools to use in the classroom. …and what a great idea to continue blogging – you should be credited for your diligence. and lastly, congrats for finishing!